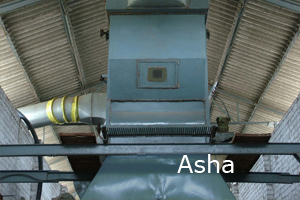 Infrastructure of Asha Cotton Industries : Indian Cotton Bales : Indian Raw Cotton Bales, Cotton bales – Raw Cotton Manufacturer, Exporter and Supplier from Gujarat, India. 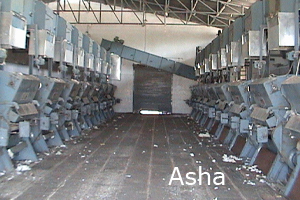 Cotton Ginning Infrastructure: Asha Cotton Industries has a biggest infrastructure, Wide Storage Capacity, Textile Ministry of India Approved 100% fully Automatic(TMC) unit and respective name in Cotton Industries. 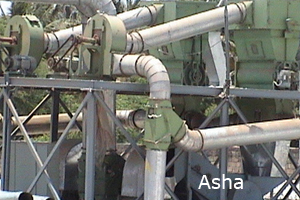 The company is located at Mahuva, District - Bhavangar (Saurastra, Gujarat, India). The company is spread over 57,000 square yards. 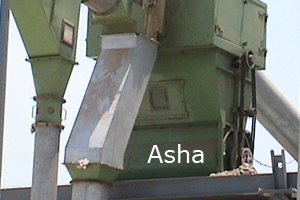 The company is equipped by the latest machineries & technology for Ginning and Pressing Cotton & Crushing of Cotton Seeds. The company is having more than 60 double roller Ginning Machines, latest Ginning machineries, approved by Goverment of India, Ministry of Textiles through TMC project and gives AA grade. 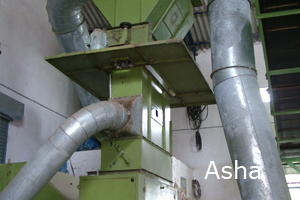 The company is equipped by the latest machineries & technology for Ginning and Pressing Cotton & Crushing of Cotton Seeds. Bhavnagar district is the place which is totaly irrigated. Our company produces the finest quality cotton as about 100% of agricultural land is irrigated. That`s why, the quality & production ratio of the cotton in this region is better as compared to other regions.